The Korean electronics giant has bought a 3% stake in its struggling Japanese rival, Sharp. Samsung has decided to buy a 3% stake in Sharp for about £75m, prompting shares in the latter to jump 17% on the Tokyo stock exchange in early morning trading. 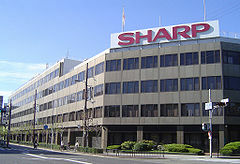 Sharp is yet another example of a large Japanese firm struggling with the strong yen (and consequent uncompetitive exports), the cheaper production costs elsewhere in Asia, and a depressed US market. The Japanese firm has been struggling in recent years with a restructuring process and increasing losses, and began finding it almost impossible to raise extra money after ratings agencies began to downgrade its credit to ‘junk status’. But what’s in it for Samsung, you might ask? Well Samsung is one of the largest producers of LCD displays in the world, and a deal with Sharp to provide the screens for its devices could be lucrative for Samsung. Bear in mind the Korean firm already makes a massive chunk of its money by selling LCDs to Apple for its devices, despite being in direct competition in the smartphone and tablet marketplace. It is possible that this is part of a strategy for Samsung to be slightly more in control of the supply chain for LCDs. Still Sharp has forecast a loss of 450bn yen for the year ending 31 March, meaning there is a long way to go before it is rescued. Measures including cutting 5,000 jobs (around one in 10 of its total work force) have already been announced, but whether Samsung’s investment can turn around its fortunes remains to be seen.